Nuna9 has been designed differently from anything that has ever been created in the solar racing world and the most significant aerodynamic change is that the nose of the Nuna9 has now become more compact and does not tend to overhang any longer. The organisers of the Bridgestone World Solar Challenge tend to control the regulations for each edition. The solar panel this year is only allowed to be a maximum of 4 m² in comparison to 6 m² in the earlier race. The team aerodynamicist, Jasper Hemmes, had explained that the design of Nuna9 tends to signify a new step ahead in solar racing. As a consequence of the change to the World Solar challenge regulation, the need of a smaller solar panel had been utilised on cars of this year. This could mean that they had to make dramatic modifications to the car and eventually they had reached at this exceptional shape. The details of the solar car had not been kept undisclosed till date, from the competitors. Sander Koot, team captain had stated that Nuna9 is revolutionary and the shape of the car is totally different to the earlier solar cars. They wanted to keep the new shape a secret for as long as possible to refrain from letting the competition in the open. In recent years, the gap between the different teams during the race had been lessening down. They also had seen elements of the earlier solar cars reflected in what the other teams had been in the race. It had been naturally important to them once again in bringing home the world championship title this year. This was the reason why the TU Delft students have kept the interior of the car away from interfering eyes. Sander chuckled that they do not want to go giving them ideas. After winning the race on various cases as well as the reigning world champion, the Nuon Solar Team is said to be the clear favourite to take the title home in Australia. The controllers of the race have now been utilising the slogan `Take on the Dutch’ in order to challenge teams from across the world to try and overcome the team from TU Delft. To characteristically direct their winning mentality, the team had intended to mount a lion’s mane on their solar car. Sarah Bennink Bolt, a member of the team had explained that the mane radiates strength and the larger the lion’s mane, the stronger and more invincible he is. The mane of the lion is also symbolic of Dutch pride and glory. 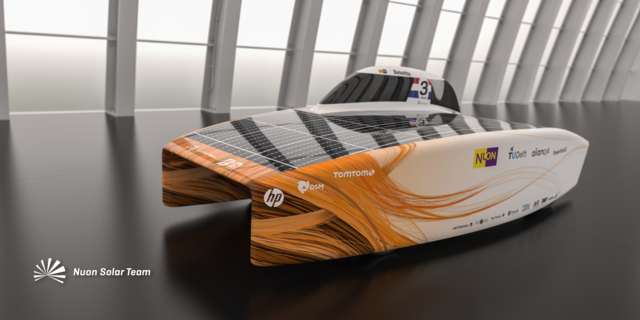 The Nuon Solar Team for this year tends to comprise of sixteen students. They will be defending their world title in October 2017 during the Bridgestone World Solar Challenge with Nuna9, their self-built solar car. The TU Delft students had won the race in total of six times inclusive of the last edition of the race in 2015. They had covered over 3,000 kilometres and the track had stretched around Australia, from Darwin to Adelaide.